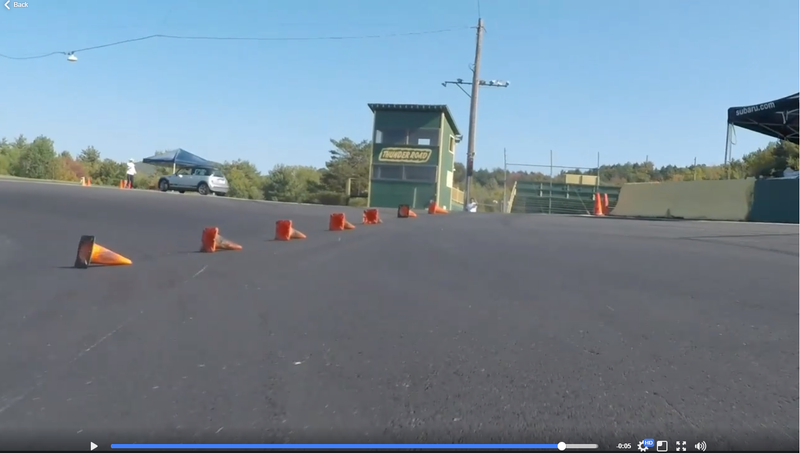 Watching other peoples videos from autocrossing last year to try to deal with my withdrawals and suddenly I find myself pulling up to the start line. This video is from the Exocet run by one of the heads of my region. Its build with the drivetrain from a stock 99 Miata and is on slicks. I rode along in it at the last event of the year and it is a completely different game compared to my little hatchback. The venue is the special event we ran on the oval at Thunder Road. I had tons of fun but was really slow because I did not have the tire for the speeds we were doing. For me it was a lift and change to second to get it to turn back up the hill and then it was flat all the way to the other end. Only 115hp and I was still reaching 55+ coming off of 4 (downhill runs are your friend). I’m really hoping we get the opportunity to do this again next year. Tons of fun and I would really like to have another go with more than one event under my belt. I need to get a go pro for next time to record my own runs. I’m also really antsy because I’m finally going to get to hit the ice on Saturday and am basically counting down the minutes to then.